Well, think again! Many of us learned to knit or crochet from Grandma….but there is sooo much more to it today! Take it from Jenny Monteleone, like many of us Jenny learned both arts from her Grandma, Helen, and quickly excelled at crocheting. Jenny kept this passion going and after 20 years as a hair color specialist, she turned that love into a beautiful new shop in Chester…Rows of PurL. If you haven’t stopped in yet do so immediately! 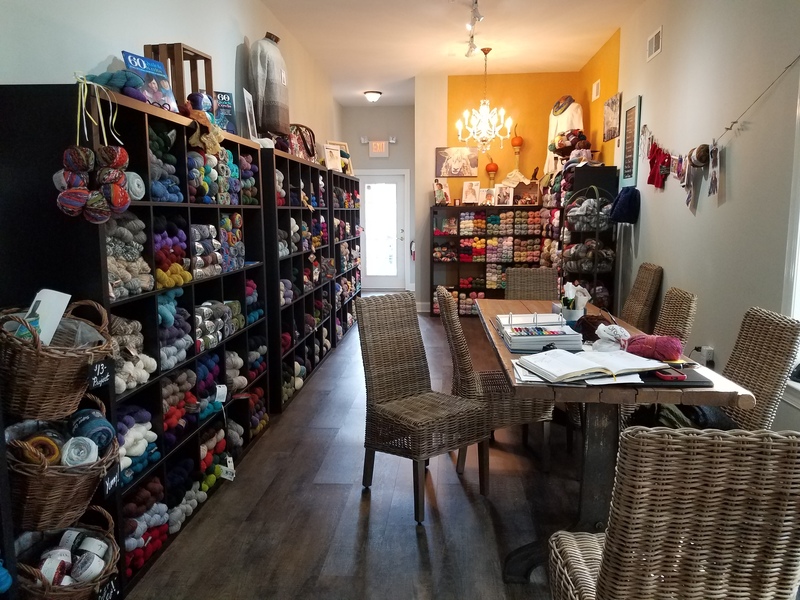 Just walking thru the door is a journey into the world of color and texture and if you are already hooked (hahaha) on knitting or crocheting….you will be in heaven. If you’ve never held a crochet hook or a knitting needle…well, it’s not to late — Jenny offers classes and will get you started pronto! It doesn’t stop there though at Rows of PurL you can also expand your skill set in both knitting and crochet techniques. Jenny strives to provide each customer with the tools and inspiration they need to reach their full potential. Additionally spinning, weaving, dying and soap making are amongst some of the other classes that will be hosted, as well as workshops and knit-alongs. That really sounds fun! And not only that, the truth about knitting and crocheting is that they are good for you! Yes, they relieve stress and benefit one’s mind! If you don’t believe me try it….its very relaxing…and good for that creativity that is inside you begging to get out! So, again I entreat you to visit this beautiful shop and chat with the owner, Jenny, and find out more. 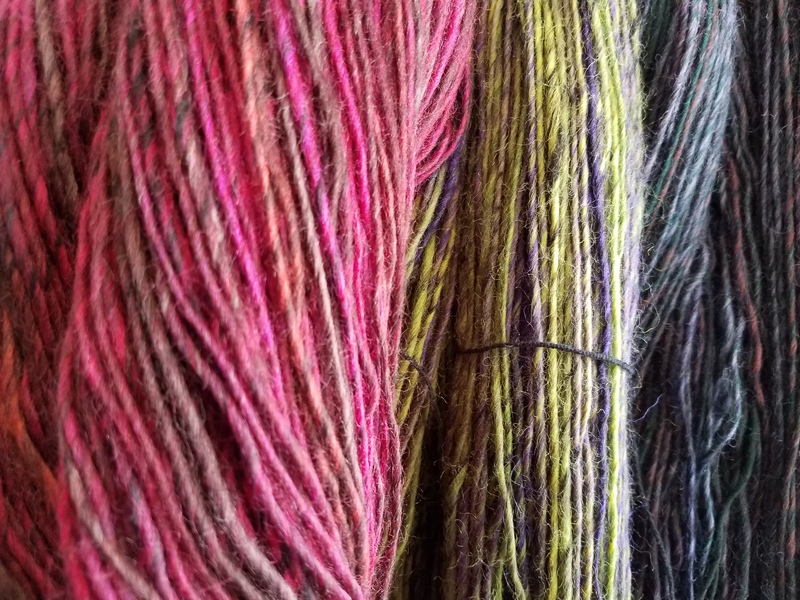 There are so many gorgeous yarns in this shop that it is hard to pick a favorite…but Jenny has one! ‘Mushishi’ by Plymouth Yarns is her total favorite and she lights up with talking about it “The colors are amazing and I have a very special project in mind”. “My goal though is to always carry a wide variety of products in a range of colors and prices without compromising quality to meet every customer’s needs!” Smiling she continues “I see the same passion I have in my customers faces when they find that one yarn that speaks to them the most”. 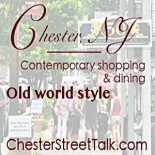 Jenny discovered Chester many years ago and like many of us here just loves the town for its charm and “quaintness”. When she decided to open her shop she immediately thought of Chester and decided to pursue her dream here. 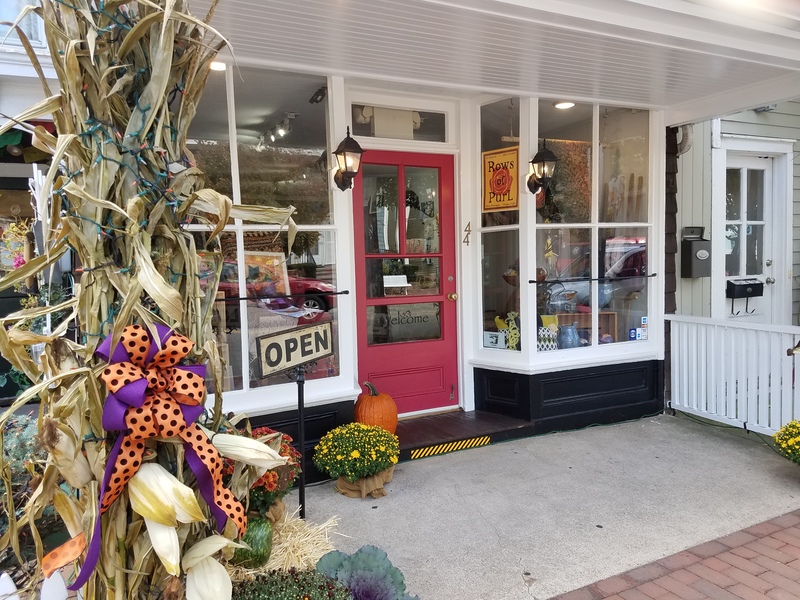 In addition to the variety of yarns available in the shop Jenny provides hand-crafted items from both local and regional artists like felted shawls, pottery, photography, soap, and much more. Rows of PurL is open Tues.-Fri. 10AM-6PM, Sat. 10AM-5PM, and Sun. 11AM-4PM. Phone: 908.879.0403. Check out Rows of PurL’s Facebook page, www.facebook.com/rowsofpurl, or their Instagram account, @rowsofpurl, for more information. Visit Rows of PurL soon! This entry was posted on October 12, 2016 by elegantparis in Chester Business, Chester Merchant Association, Chester New Jersey, Other, Shopping and tagged chester events nj, Chester New Jersey, Chester NJ Main Street Shops, crocheting, date ideas northern nj, date ideas tri-state area, inspiration, knitting, knitting and crocheting, Main Street, photography, Rows of PurL, shopping and dining in chester nj, support small business in new jersey, things to do in chester nj, things to do on a date.